The next Club Head race will take place on Saturday 16 February with racing from the House to the Key Theatre. The Head race starts at 9:30 at the House so please ensure you have boated from the club by 8:30 at the latest allowing yourself enough time to get to the start and marshall in the race running order - for those who haven't done one before there will be plenty of people about to provide guidance. Following a recent collision incident on the river Nene involving experienced club crews – fortunately without any personal injuries, the Rowing Committee have decided that additional safety measures need to be introduced in order to reduce the likelihood of any further such incidents occurring. 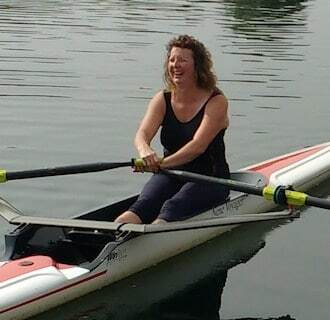 Kathryn (Kate) Lindgren is a member of Peterborough City Rowing Club and has found a new sense of freedom and independence as a blind rower. Peterborough City Rowing Club competes at local, national and international level.